The ProTek R/C 2.5x8mm Titanium Flat Head Hex Screw pack is a four piece upgrade that gives you a high quality, affordable titanium hardware option. 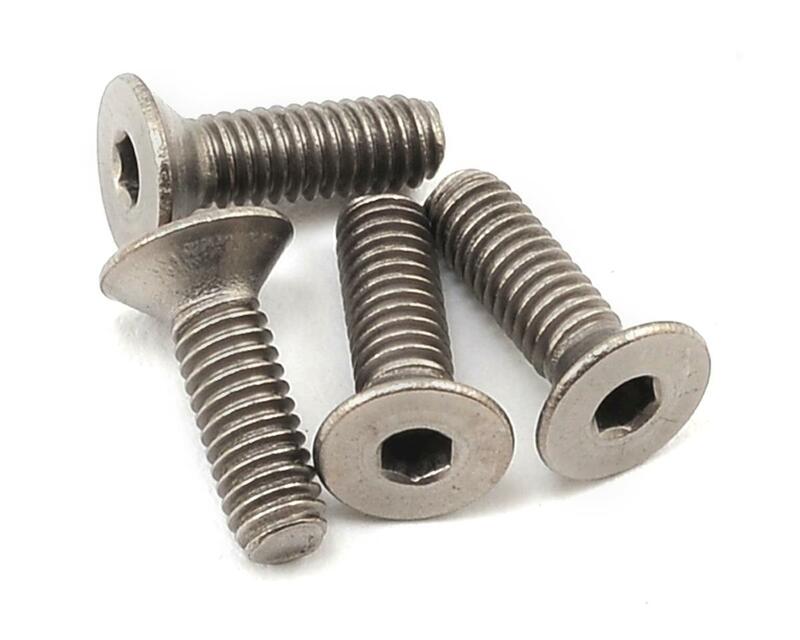 These screws are recommended for any low stress application that uses 2.5x8mm Flat Head Hex screws. Titanium delivers one of the highest strength-to-density ratios of any alloy. It is strong, much lighter than steel and is one of the best ways to quickly shed weight. 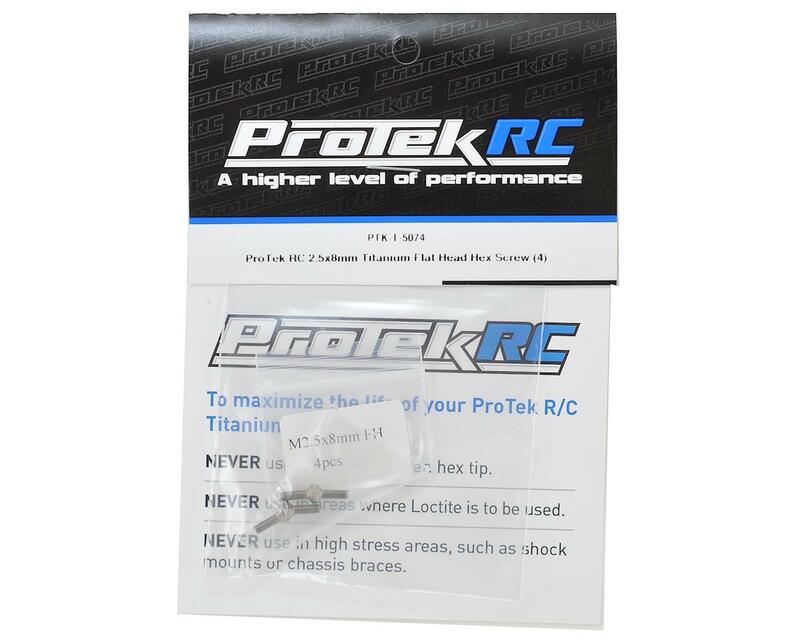 ProTek R/C Titanium Screw Kits have been designed in-house by our leading technical experts and R/C professionals. Whereas some other brands use aluminum or low-grade Titanium, ProTek has searched for and found the best Titanium material for R/C applications. Don’t be fooled by cheaper, inferior hardware. NOTE: Refer to your instruction manual for correct screw placement.